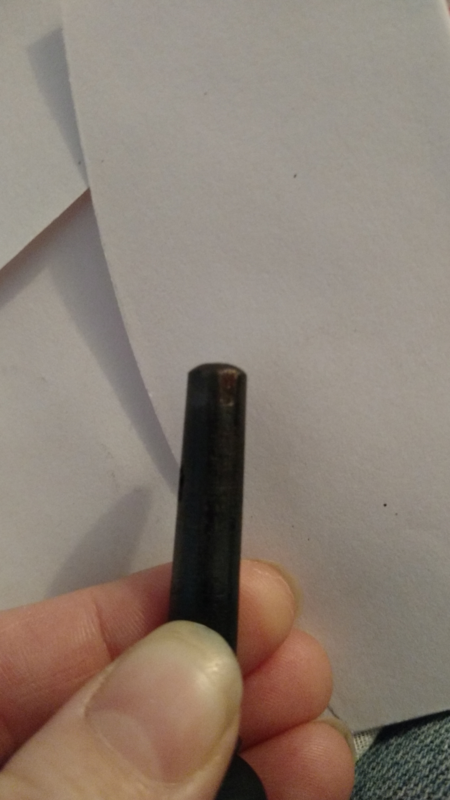 As I was applying peg compound to my slippery pegs, I found a crummy issue: my G peg actually has a small nick on it, not very large but enough to deform the end that pokes through the other side of the peg box. Would this affect its grip? I'm assuming so, but hoping not. And on the E peg, there are no cosmetic issues that I can see but the peg box has what appears to be an old repair that corresponds with one of the E-peg holes. 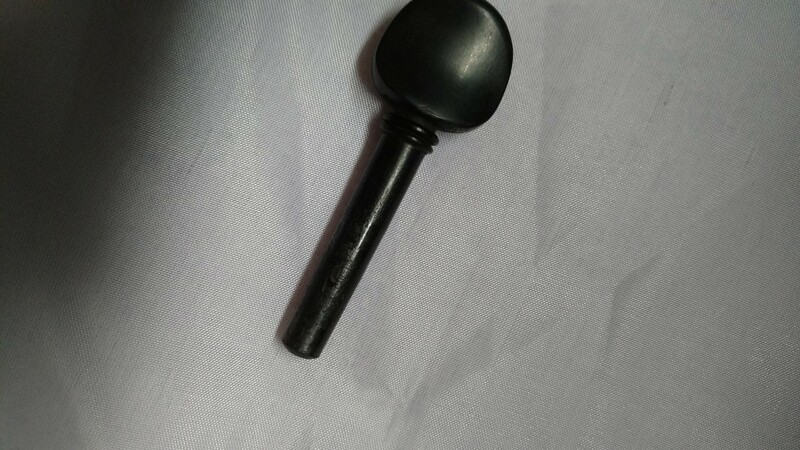 The peg itself actually gets worse with compound: without it, it slips when I try to tune it. Not when I play (so far), but always during tuning. It doesn't happen with the A or D pegs (50/50 with G of course), so logically it would appear that I'm tuning the others well enough as far as pushing the pegs in etc. However, with the E peg, when I apply a bit of compound then it actually jams and becomes very difficult to turn. Right now it's stuck very stubbornly at D# and won't go any further no matter how hard or how long I work at it. So -- has anyone else had similar experiences? Would I be able to get a new set of pegs or DIY a fix myself? Or does the peg compound just need some time to 'do it's thing'? Same question with the Dampit, if that would help the peg at all. Nearest luthier is halfway across the state, so that's an unlikely stop, unfortunately. 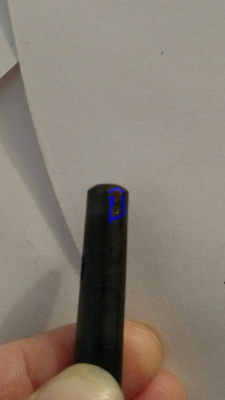 On the G peg, its hard to tell with out a pic, but a small nick should not be a concern. On the E peg, you need to work to get the peg out if it is stuck in the hole, but people have broken off the pegs, requiring drilling out the remaining portion, so care is needed. You will want to dry the wood, so do not use the dampit. If though you have the peg out, wipe off the compound and carefully wipe out the holes (q-tip or something). Then without the string, simply turn the peg until you tire of doing it. I would just use it like that for a couple of months. 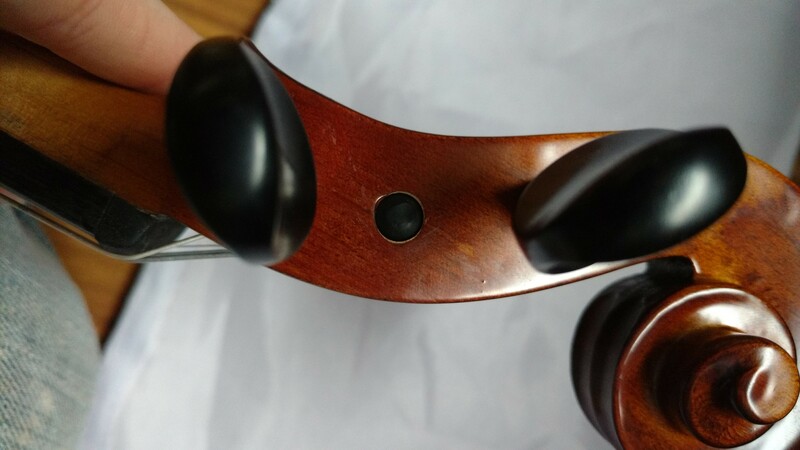 On one of my cheap violins that had a problem, I wrapped a small piece of very fine sandpaper around the tip of the peg and very lightly turned the peg in the hole. That fixed it, but it was dangerous. You can buy new pegs, but sometimes you have to work to get them to fit well. Pics really would help. Thanks for the info! I've attached a couple pics of the G peg. It was tricky to get a decent picture, but it's not too big and the chip is probably about as deep as a fingernail. (Not very.) It kind of dips inwards a smidgen due to this, on the very edge where the end/edge starts to round out. The camera wouldn't focus well enough to get a good picture of that though. That probably won't cause you too many problems, but because I am who I am, I would want to fix it by getting another peg. Ebay $5 for a set. You may have to work to get them to seat properly, but that can be fun. What about the E. I was more concerned about that. Okay -- what tools would be needed to work on a new peg? As for the problem child, E peg... I've taken as many pictures as I could think to take concerning it. Please let me know if there's something specific you'd like to see of it. While I was taking pictures, I played around with the peg holes as far as seeing exactly when the peg starts to catch and/or slip; it turns perfectly until it gets pushed into the other side of the pegbox when it starts to hang up. It then proceeds to slip and jam. I'm not sure how it can be slippery and then get so jammed that it will barely move, but it does.. The peg itself is very smooth except for where it makes contact with the peg box; there it has a kind of textured surface. Is this normal? I have yet to check the D and A pegs but the other two have this texture. Difficult to pick up in the photo, but this is where I suspect a repair or perhaps just a run in the varnish. There is, midway between the D and E holes, a very pale stripe running with the grain and ending where the E hole rim is. Surface is smooth, though. 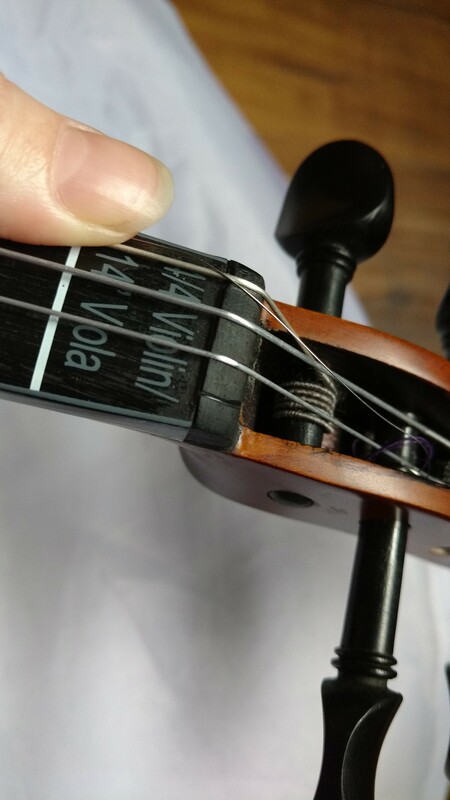 Additionally, the groove where the string lays in the nut veers kind of abruptly in towards the other strings at the top-- would this at all affect the peg, or is this how all E string grooves are? Sorry for so many questions-- and thanks so much for your help! I can not advise you as I am not that good at this. But I can tell you what I would do if this happened to me (and it has). I took very fine sandpaper (400), laid the peg on the paper, picked up the paper and peg and holding the paper tightly around the peg, turned the peg several times. Stopped and tried it in the hole until it felt good. It can sometimes happen that a shoulder develops on the peg and when you need to shove the peg in further, this shoulder can catch, so knock it down with sandpaper if that is happening. If I felt there was a problem in the hole I would lightly run the paper around inside the hole. Keeping in mind, you can replace a peg but not a scroll. 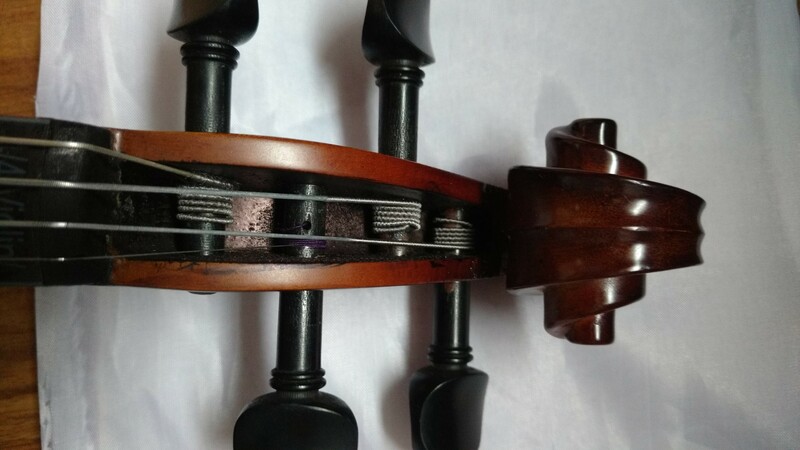 On a peg there are two smooth areas that turn in the wood of the scroll and there is a center section where the string wraps around the peg. This center section gets "textured" as the string gouges into the wood of the peg. Okay, thank you so much! I'll probably get some extra pegs off of eBay for backups (in the event of a catastrophic sandpapering event 😀 ) and see what I can do. What you mentioned about the "shoulder" makes quite a lot of sense because that seems to be just how the peg has been behaving. The pegs will not jam if you are using Hill Peg Compound. There are different types but we have the best success with the Hill brand. If it's jamming, you probably didn't apply enough. Apply generous amounts and twist the peg in the hole a bit. Pull the peg out and repeat the process 3 times. You will see a great improvement. 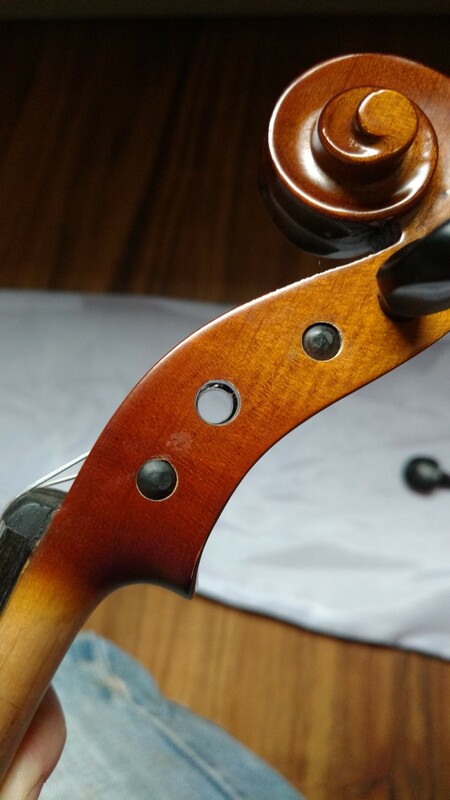 As for the peg cracks, make sure that they are not open cracks. If they are, try to get some glue in there without making a mess, clean off the excess glue and then apply a lot of compound on that peg using my instructions above. Thank you for the information as well -- will be working on it next week!